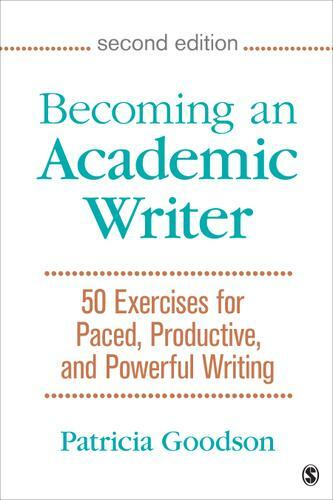 With its friendly, step-by-step format, Becoming an Academic Writer by Patricia Goodson helps writers improve their writing by engaging in deep and deliberate practice—a type of practice adopted by expert performers in areas such as sports or music. Featuring 50 exercises, this practical, self-paced guide is flexibly organized so readers can either work their way through all of the exercises in order or focus on the specific areas where they need additional practice building their skills. The Second Edition is enhanced by a new appendix on literature review, new feature boxes, and new chapter summaries.